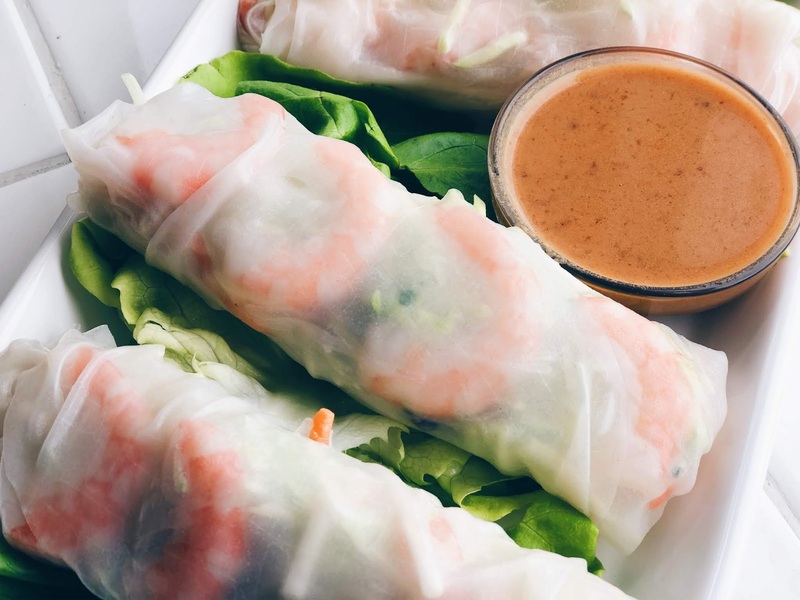 Healthy Spring Rolls with Peanut Dipping Sauce are a perfect treat to yourself at home. 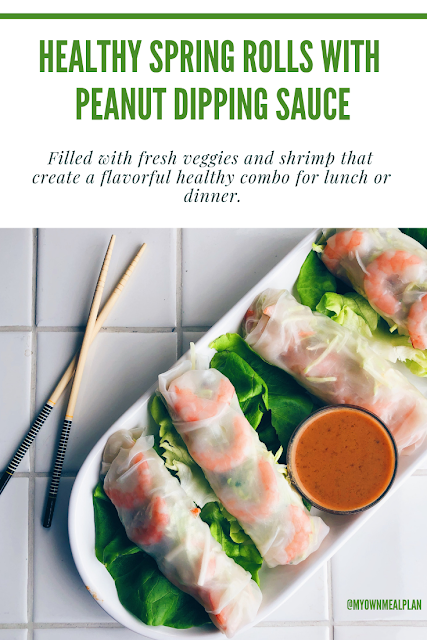 Filled with fresh veggies and shrimp that create a flavorful healthy combo for lunch or dinner. It is an easy 30 minute recipe to make at home. 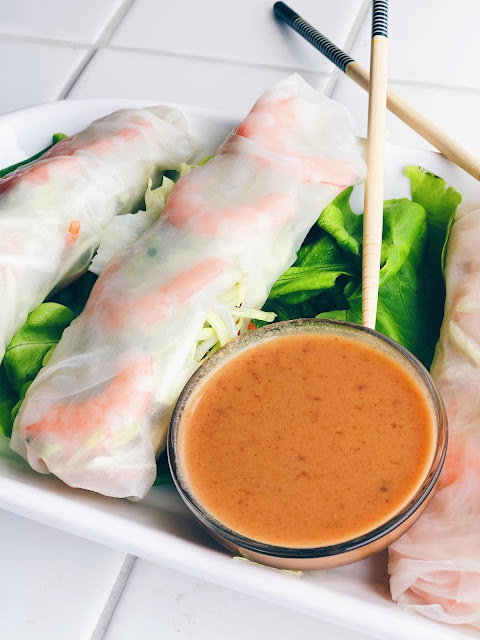 These spring rolls are so delicious that you will want to prepare them again and again. Make it with me! 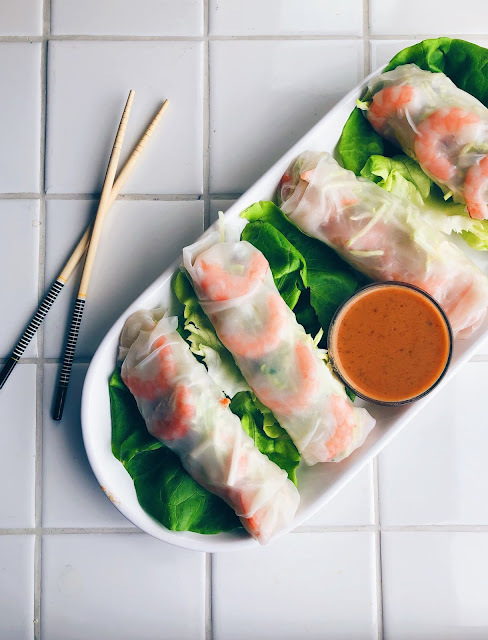 These spring rolls are so fun to make at home! They take a little practice to get the wrapping just right, but it's worth it. 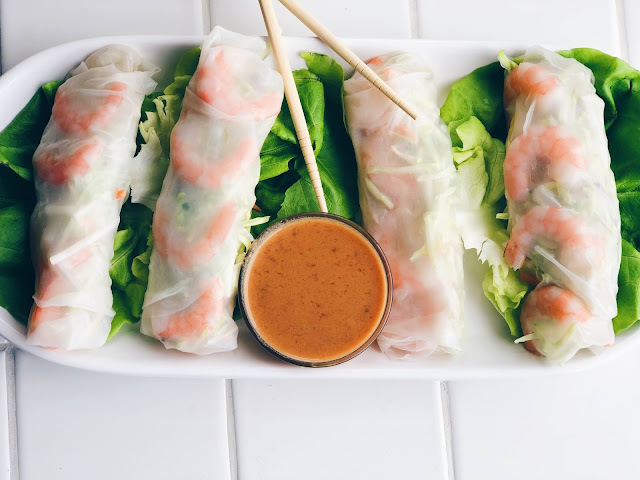 You can buy rice paper wraps at the asian market, or at some local grocery stores. I found mine at Winco. I am a huge peanut fan, so this peanut dipping sauce is one of my favs! 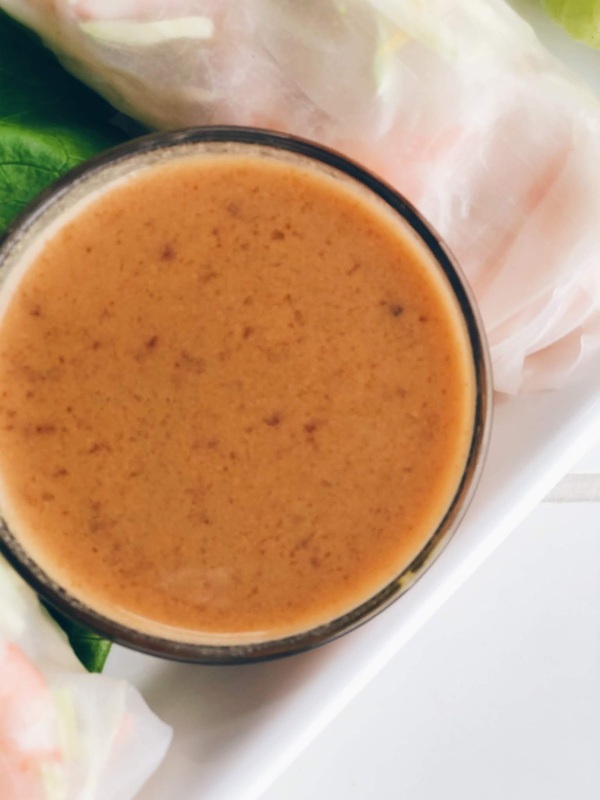 It's sweet from the peanut butter, and it has a little kick from the chili garlic paste. I think you'll like it!